Product quality, cost and performance can be enhanced or eroded by the design of a plastic component for critical-use medical applications; however, few designers thoroughly understand mold processing and the factors that influence a design’s functionality. What’s more, you’ll learn how partnering with an experienced molder like Kaysun fills any knowledge gaps to consistently optimize design and performance. 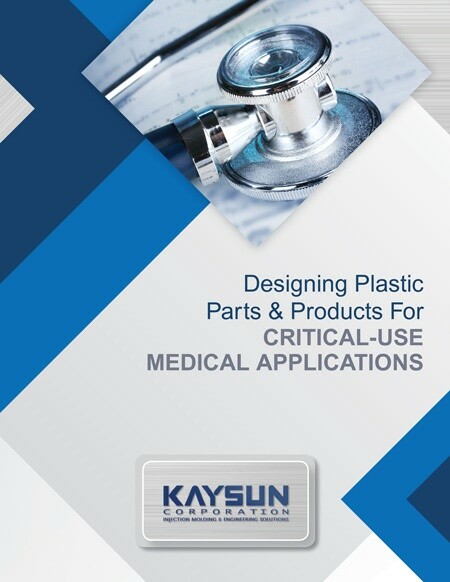 Download your free copy of Designing Plastic Parts & Products For Critical-Use Medical Applications now by completing this short form.